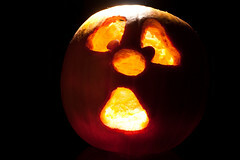 Steve and I are going to a Halloween Ball tonight in one of London's most haunted houses, Charlton House. 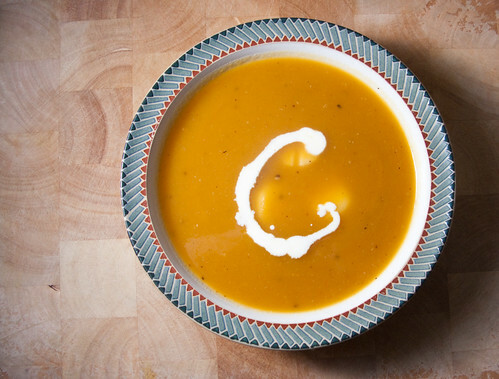 I think we are going to need a hearty meal before we get there and this seasonal soup is ideal. Our friends Saloni and John cooked it for us last week and it was delicate, tasty and filling. They are both great cooks but John is a soup wizard and I was delighted that he found time to share the recipe with us. As with most soups, it is time consuming to prepare but I hope you try it. Steve is going to dress up as a werewolf tonight and I am going to go as the wicked witch of the East (she's the witch that dies at the beginning of the Wizard of Oz when Dorothy's house lands on her and so I have ruby red slippers to go with my outfit - I am very excited!). 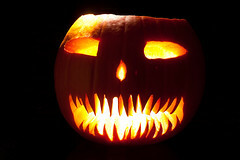 We have already carved our pumpkins and the photos are below. Please let us know which one you like best - pumpkin carving is another thing that Steve and I are competitive about. At least we are finally beginning to get the message that yoga is a non-competitive activity; Over the last three years James, our yoga teacher, has consistently refused to give us prizes, marks out of ten or gold stars for achievement. Grrr argh. Chop the pumpkin into approximately twelve thin wedges. Remove the seeds and guts. 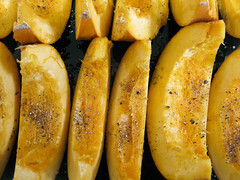 Place the wedges on a baking tray, drizzle with olive oil and season with salt and pepper. Roast in the oven until the pumpkin is soft and brown. The timing of this will vary depending on the size of the pumpkin, it's ripeness etc but it should be in the region of thirty minutes. 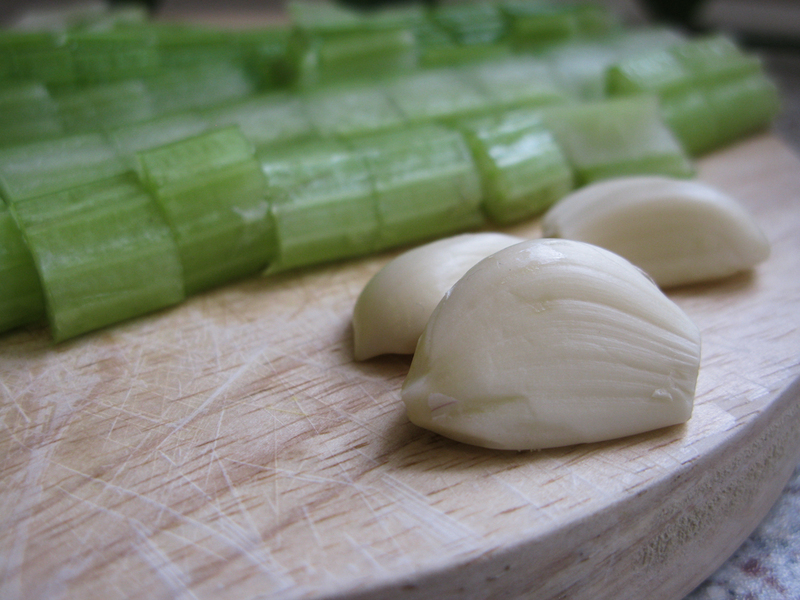 Meanwhile chop the onion, celery and garlic, and soften in a stockpot with a little oil. Once translucent, add the Tabasco and Worcester sauce. Once the pumpkin has finished roasting, use a spoon to scrape the pumpkin flesh from the skins and add it to the stockpot. Now add the chicken stock and simmer (with the lid on) until the pumpkin is very soft - 20 - 30 minutes. Allow the soup to cool a little (to avoid melting your food processor) and then blitz the soup to remove all lumps. Now patiently sieve the soup to remove any pulp. At this point taste the soup and adjust the seasoning. When you are ready to serve, heat the soup to a simmer. Then add the raw scallops and cook for 4-5 mins. Take care not to overcook the scallops. To serve, drizzle with a swirl of cold double cream.